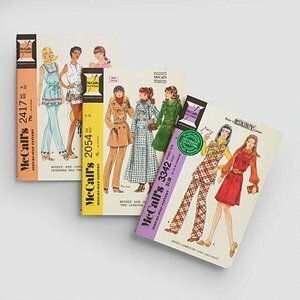 Nostalgia for all clothing sewists of a certain age! Three different notebooks--two ruled, one blank--that look just like McCall's patterns from the 1960s & 70s. The backs even have the yardage requirement charts! Great as gifts and for yourself! Sold only as package of three.